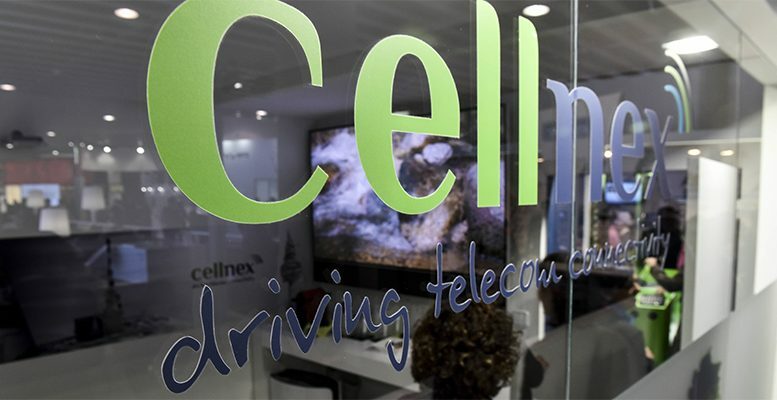 Cellnex Telecom has presented its results for the first quarter of 2018. Revenues amounted to € 217 million (+15%) and EBITDA was € 101 million (+20%). The comparable net result closed at € 11 million, in line with the close of the same period in 2017, thereby taking into account the effect of the higher amortisations (+30% vs. 1Q 2017) and financial costs (+51% vs. 1Q 2017) associated with the growth of the group and the consequent expansion of its geographical footprint. Furthermore, Cellnex has provisioned € 55 million corresponding to the voluntary early retirement and voluntary redundancies plan agreed in March in Retevisión and Tradia for the period 2018-2019. This provision has a non-recurring impact on the results of the quarter. “This first quarter of 2018 demonstrates Cellnex continued delivery of double-digit growth in revenues, EBITDA and free and recurring cash flow, which reflects the expansion of our geographical footprint, which is significant in relation to the same quarter of 2017, including the positive impact of the integration of new Bouygues assets in France, of Sunrise in Switzerland and Alticom in the Netherlands. It also reflects the consistency of the like-for-like organic growth, which continues at a solid 4% increase in equipment deployed at our sites, as well as a +3% in the customer ratio, also by location” said Tobias Martinez, President and Chief Executive Officer of Cellnex. Telecommunications Services and Infrastructures provided 64% of total revenue with € 139 million, an increase of 28% over March 2017. Activity in broadcasting infrastructures contributed 27% of income, with € 58 million. The business focused on security and emergency service networks and solutions for smart urban infrastructure management (IoT and Smart cities) contributed 9% of revenue, totalling € 19 million. As of 31 March, 47% of income and 50% of EBITDA were generated outside the Spanish market. Italy is the second largest market, accounting for 29% of revenues. As of 31 March 2018, Cellnex had a total of 21,757 sites (7,990 in Italy, 8,136 in Spain and 5,631 in the Netherlands, France, the UK and Switzerland), with a further 1,363 nodes (DAS and Small Cells). It should be noted that the number of DAS and Small Cells sites grew by 20% in comparison to the first quarter of 2017. Like-for-like organic growth of points of presence in sites stood at 4% in relation for the same period in 2017, while the customer ratio per site (excluding changes to the perimeter) was up 3%. Operative investments in the first three months of 2018 stood at € 37 million, applied principally to maintaining installed capacity and to investments linked to generating new revenues and improving efficiency. Cellnex closed the first quarter of 2018 with a stable long-term debt structure, with an average life of 6.1 years, an average cost of approximately 2,2% (debt drawn down), and 79% at a fixed rate. On 8 January Cellnex made its first convertible bond issue for an amount of € 600 million. The Bonds, with a nominal amount of € 100,000, have a maximum expected maturity date of 16 January 2026 and will carry a coupon of 1.5% per annum. The price of conversion was set at € 38.0829, with a premium of 70% on the weighted average price by volume of listing of the share on the day of issuance. The shares underlying the bonds are equivalent to 6.8% of Cellnex’s capital prior to the issue. The company’s net debt as of March 31 was € 2,281 million compared to € 2,237 million at the close of 2017, equivalent to a net debt / EBITDA ratio of 5.6x. Likewise, at the close of March Cellnex had access to immediate liquidity (cash and banks + debt not drawn down) to the tune of around € 1,826 million. Cellnex Telecom’s bond issues maintain their “investment grade” rating from Fitch (BBB- with a negative outlook), confirmed by the agency itself last September, just as S&P confirmed the “BB+ rating with a stable outlook.